Megan Markle, the Duchess of Sussex, showcased many Australian designers in her tour wardrobe for her first official visit. But a Kiwi favourite also made the cut. Markle wore Karen Walker’s black Northern Lights sunglasses on during the couple’s visit to the Queen’s Commonwealth Canopy conservation programme on Fraser Island. The oversized, cat-eye frames looked classic and sleek and perfectly complemented both outfits, a polka dot dress by & Other Stories and later changed in a striped, linen dress by ethical label Reformation. While at Bondi Beach, Markle wore Karen Walker Temptation stud earrings and The Runaway Stamp Ring, both in gold, when she and Prince Harry joined OneWave’s ‘Anti Bad Vibe Circle’, as people of all ages shared their experiences of mental health issues. 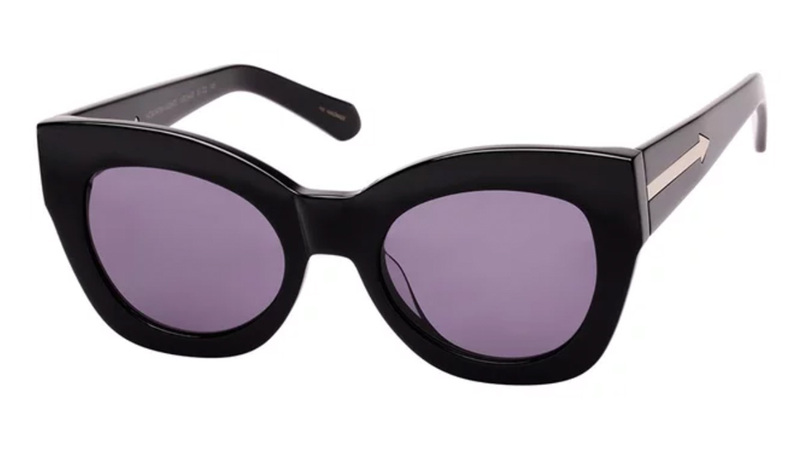 Markle has previously worn Karen Walker during New York Fashion Week in 2014. The couple arrives in Wellington on Sunday night and are due to depart on November 1. The big question, however, is what local designers Markle will wear during her time in New Zealand. During the 2014 Royal Tour, Kate Middleton, The Duchess of Cambridge, wore three items from New-Zealand designers, including Emilia Wickstead, a designer Markle has worn on several official duties in the UK.